IT’S TIME TO TAKE CONTROL OF YOUR SCHEDULE! 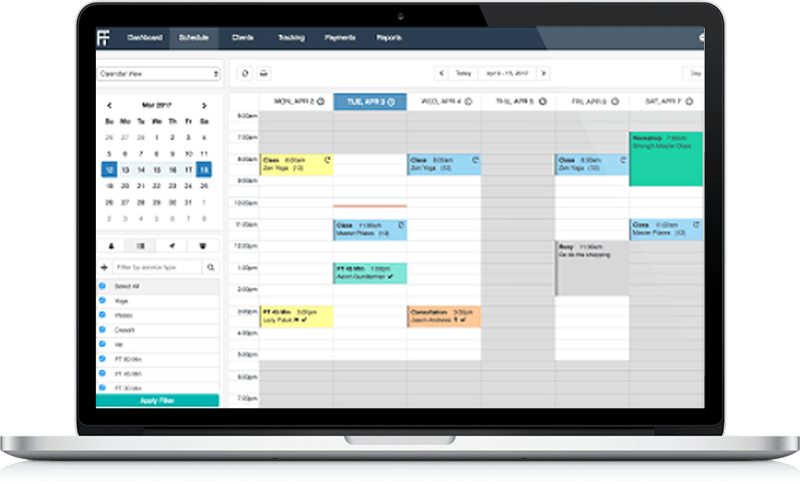 Choose from list, team or calendar views with a unified and informative calendar that displays all classes, appointments and workshops. Easily create, repeat, re-schedule (drag and drop), edit or cancel classes or sessions from your calendar. 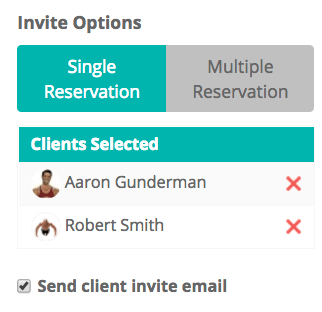 Complete control adding clients or groups to appointments, classes or workshops. You can even book a client into a multiple sessions for a period of time. Color code sessions to differentiate classes, appointments, instructors or locations. Automatic payments reconciliation enables you to visually identify if clients have not paid for sessions. Auto-deduct tools allow you to deduct session credits from their memberships or packages when adding to an appointment, class or workshop. Keep track of attendance to reduce no-shows and late cancels. Keep your clients engaged with automated push notifications if they are absent for a specified period. 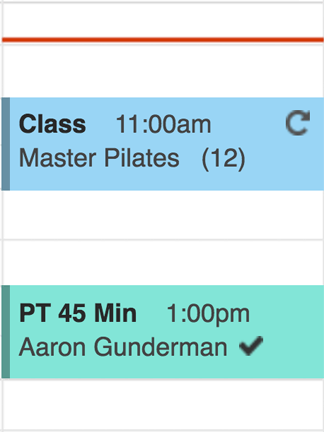 Enable waitlists when classes are full which will automatically add members to the class when a spot opens. Sync your calendar to Outlook, Google or Apple calendars.